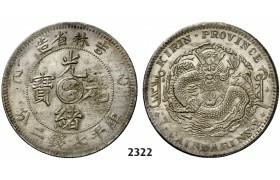 2321. 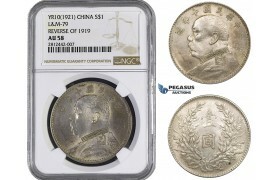 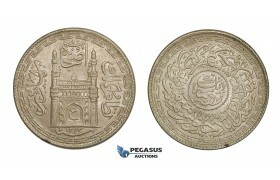 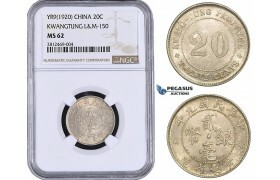 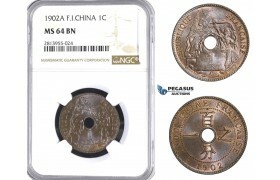 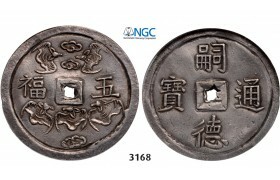 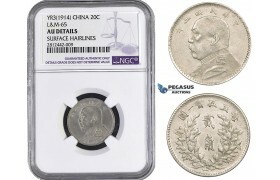 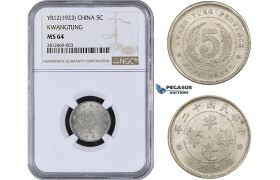 China, Kiangnan Province, 7 Mace 2 Candareens (Dollar) No Date (1897) Nanjing, Silver , NGC AU..
2322. 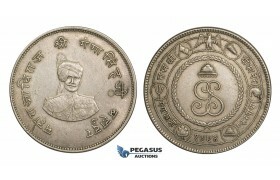 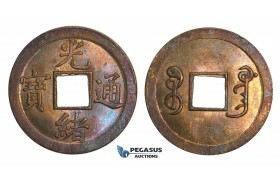 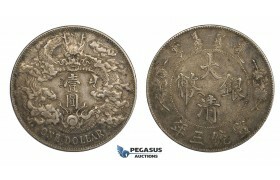 China, Kirin Province, 7 Mace 2 Candareens (Dollar) Cyclical year 2­6 (1905) Jilin Shi, Si..
3168. 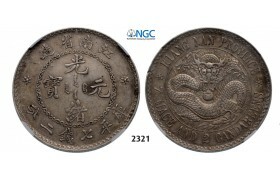 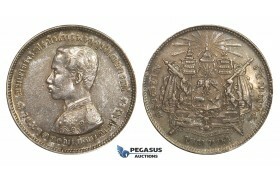 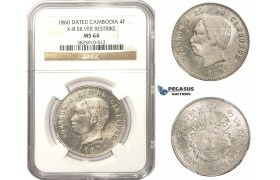 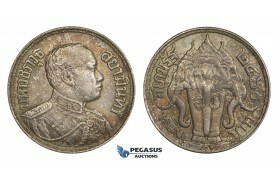 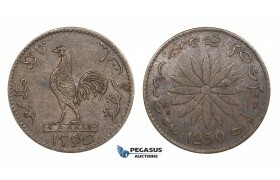 Vietnam, Tu Duc, 1848-­1883, 5 Tien, No Date (1848­-1883) Silver, NGC AU53 5 Tien, No..
A66, China, Szechuan-Tibet Rupee ND (1939-42) Y-3.3 LM-359, cleaned! 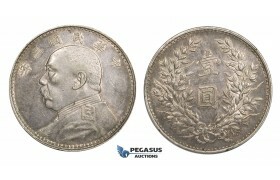 A66, China, Szechuan-Tibet Rupee ND (1939-42) Y-3.3 LM-359, cleaned! 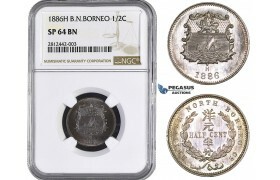 ..
AA038, British North Borneo, 1/2 Cent 1886-H, Heaton, NGC SP64BN ..
AA043, China, "Fat man" 20 Cents Yr. 3 (1914) Silver, NGC AU Details ..
AA044, China, "Fat man" Dollar Yr. 3 (1914) Silver, NGC MS63 ..
AA045, China, "Fat man" Dollar Yr. 10 (1921) Silver, L&M 79 (Reverse of 1919) NGC AU58..
AA046, China, Kwangtung, 5 Cents Yr. 12 (1923) Silver, NGC MS64 ..
AA047, China, Kwangtung, 20 Cents Yr. 9 (1920) Silver, L&M 150, NGC MS62 ..
AA048, China, Kwangtung, 20 Cents Yr. 11 (1922) Silver, L&M 152, NGC MS62 ..
AA080, Sarawak, C.V. Brooke Rajah, 10 Cents 1920-H, Heaton, Copper-Nickel, NGC MS62 ..
AA081, Sarawak, C.V. Brooke Rajah, 10 Cents 1934-H, Heaton, NGC MS64 ..
AA085, Singapore, Keping Token, AH 1250 (1834) Copper, XF-AU, Rare! 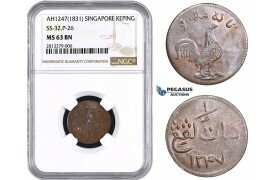 AA085, Singapore, Keping Token, AH 1250 (1834) Copper, XF-AU, Rare! 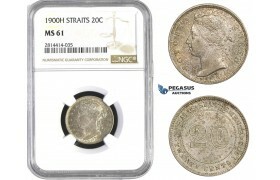 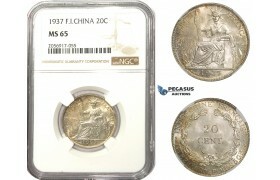 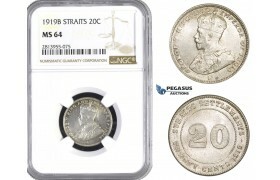 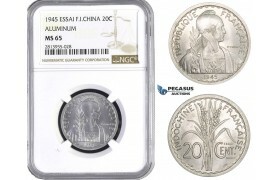 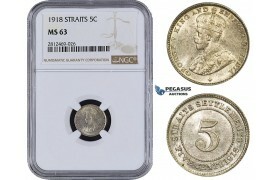 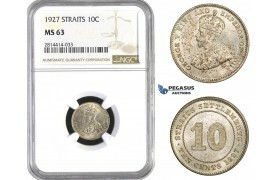 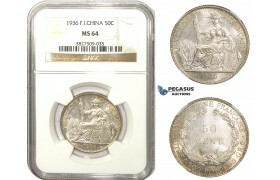 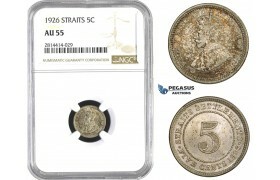 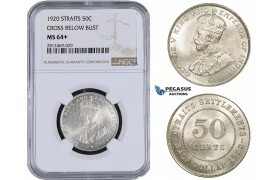 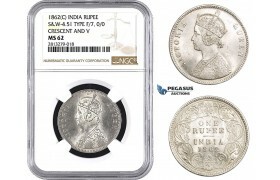 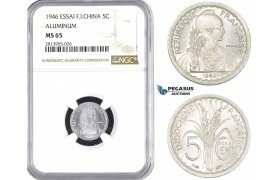 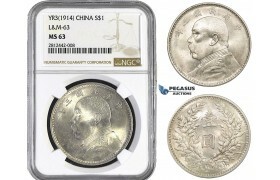 ..
AA087, Straits Settlements, George V, 5 Cents 1918, Silver, NGC MS63 ..
AA088, Straits Settlements, George V, 5 Cents 1918, Silver, NGC MS63 ..
AA089, Straits Settlements, George V, 5 Cents 1918, Silver, NGC MS63 ..
AA090, Straits Settlements, George V, 5 Cents 1919, Silver, NGC MS63 ..
AA091, Straits Settlements, George V, 50 Cents 1920 (Cross below bust) Silver, NGC MS64+ ..
AA106, China, 10 Cash 1920, Y-303, NGC MS63RB ..
AA107, China, 1 Dollar Yr. 3 (1911) Silver, L&M 37 (No Period) Tiny Chop marks, Toned gVF ..
AA108, China "Fat man" Yuan (Dollar) Yr. 3 (1914) Silver, L&M 63, Toned AU, few hairli..
AA109, China, Dollar ND (1914) Silver, Y-322, L&M 858, PCGS Secure MS61, Rare! 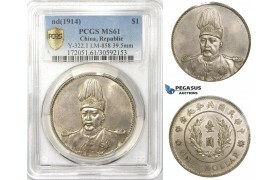 AA109, China, Dollar ND (1914) Silver, Y-322, L&M 858, PCGS Secure MS61, Rare! ..
AA116, French Indo-China, 10 Centimes 1900-A, Paris, Silver, a few marks, AU ..
AA161, Sarawak, C. Brooke Rajah, 1/4 Cent 1896-H, Heaton, PCGS SP63BN, Pop 1/1, Rare! 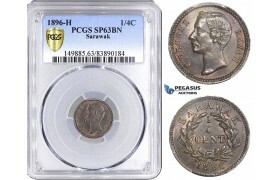 AA161, Sarawak, C. Brooke Rajah, 1/4 Cent 1896-H, Heaton, PCGS SP63BN, Pop 1/1, Rare! ..
AA162, Straits Settlements, Victoria, 1/4 Cent 1845, NGC AU55BN ..
AA163, Straits Settlements, Victoria, 1/2 Cent 1845 WW, NGC XF40BN ..
AA164, Straits Settlements, Victoria, 1/2 Cent 1862, NGC VF25BN ..
AA165, Straits Settlements, Victoria, 1/2 Cent 1872-H, Heaton, NGC VF30BN ..
AA253, Hong Kong, Victoria, Mil 1863, NGC MS62RB ..
AA255, India (British) Victoria, Rupee 1862-C, Calcutta, Silver, S&W 4.51, Type F/7, 0/0, Cresce..
AA268, Singapore, Keping AH1247 (1831) SS-32, P-26, NGC MS63BN ..
AA269, Straits Settlements, Victoria, 1 Cent 1894, NGC MS62BN, Rare! AA269, Straits Settlements, Victoria, 1 Cent 1894, NGC MS62BN, Rare! 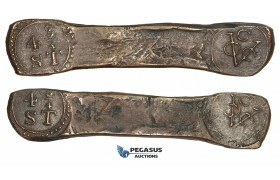 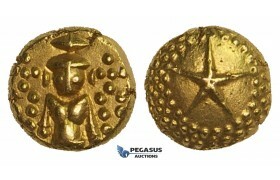 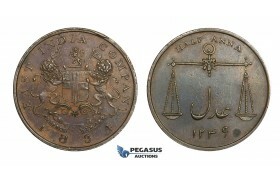 ..
AA283, Ceylon, Dutch East India Company , Æ 4 3/4 Stuiver (48.44g) Bonk Bar ND ca. 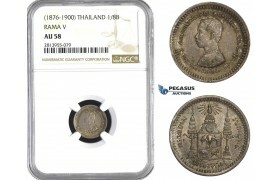 1785, VF ..
AA294, India (EIC) Madras Presidency, Gold Star Pagoda ND Madras Presidency, Gold (3.38g) AU ..
AA295, India (British) Victoria, 1/4 Rupee 1876, Silver, Toned AU-UNC ..
AA313, Philippines (Spanish) Alfonso XIII, Peso 1897 SG-V, Madrid, Silver, Polished XF ..
AA314, Straits Settlements, Victoria, Cent 1875-W, VF-XF ..
AA315, Straits Settlements, Victoria, Cent 1877, Brown VF-XF ..
AA316, Straits Settlements, Victoria, 50 Cents 1896, Silver, Toned aVF ..
AA318, Thailand, Rama V, 1 Baht ND (1876-1900) Silver, Fine Toning, AU-UNC ..
AA319, Thailand, Rama VI, Baht BE2460 (1917) Silver, Toned aUNC ..
AA320, Thailand, Rama VII, 1/2 Baht BE2472 (1929) Silver, Toned AU ..
AA346, French Indo-China, 10 Centimes 1911-A, Paris, Silver, NGC AU58 ..
AA354-R, Straits Settlements, Victoria, Cent 1898, NGC MS63BN ..
AA374, China, Kwangtung, 1 Cash ND (1890-1908) Brass, UNC ..
AA375, China, Honan, 50 Cash ND (1920) NGC AU55, Rare Grade! 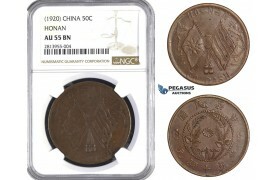 AA375, China, Honan, 50 Cash ND (1920) NGC AU55, Rare Grade! 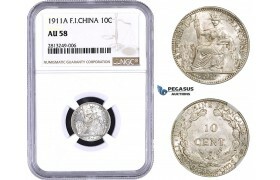 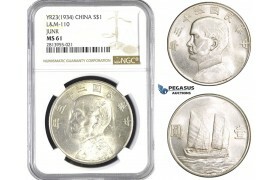 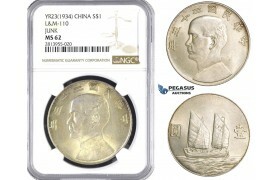 ..
AA376, China "Fat Man" 10 Cents Year 3 (1914) Silver, NGC AU55 ..
AA377, China "Junk" Dollar Year 23 (1934) Silver, L&M 110, NGC MS62 ..
AA378, China "Junk" Dollar Year 23 (1934) Silver, L&M 110, NGC MS61 ..
AA392, French Indo-China, 1 Centime 1885-A, Paris, NGC MS61BN ..
AA393, French Indo-China, 1 Centime 1902-A, Paris, NGC MS64RB (Fully Red) ..
AA394, French Indo-China, 1 Centime 1902-A, Paris, NGC MS64BN ..
AA395, French Indo-China, 1 Centime 1921-A, Paris, NGC MS64BN ..
AA396, French Indo-China, ESSAI 5 Centimes 1946, Paris, NGC MS65 ..
AA397, French Indo-China, ESSAI 10 Centimes 1945, Paris, NGC MS63 ..
AA398, French Indo-China, ESSAI 20 Centimes 1945, Paris, NGC MS65 ..
AA402, Hong Kong, Victoria, Cent 1863, NGC AU58BN ..
AA403, Hong Kong, Victoria, Cent 1875, NGC AU58BN ..
AA404, Hong Kong, Victoria, Cent 1881, NGC AU58BN ..
AA405, Hong Kong, Edward VII, Cent 1902, NGC MS61BN ..
AA441, Straits Settlements, Victoria, 1/4 Cent 1845, NGC UNC Details "Obv Scratched"
AA441, Straits Settlements, Victoria, 1/4 Cent 1845, NGC UNC Details "Obv Scratched" ..
AA442, Straits Settlements, Victoria, 1/2 Cent 1845 WW, NGC AU58BN ..
AA443, Straits Settlements, George V, 20 Cents 1919-B, Bombay, Silver, NGC MS64 ..
AA444, Thailand, Rama IV, 1/8 Fuang ND (1862) Pewter, NGC MS63 ..
AA445, Thailand, Rama V, 1/8 Baht ND (1876-1900) Silver, NGC AU58 ..
AA468, British North Borneo, 1 Cent 1891-H, Heaton, NGC MS65BN ..
AA470, Cambodia, Norodom I, 4 Francs 1860, Phnom Penh, Silver, NGC MS64 ..
AA480, French Indo-China, 1 Centime 1897-A, Paris, NGC MS65BN ..
AA481, French Indo-China (Vietnam) 20 Centimes 1937, Silver, NGC MS65 ..
AA482, French Indo-China, 50 Centimes 1936, Paris, Silver, NGC MS64 ..
AA486, Hong Kong, Edward VII, 1 Cent 1905-H, Heaton, NGC MS65RB ..
AA487, Hong Kong, George V, 1 Cent 1919-H, Heaton, NGC MS65BN ..
AA488, Hong Kong, Victoria, 5 Cents 1899, Silver, NGC MS62 ..
AA539-R, French Cochin China, 1 Centime 1879-A, Paris, NGC AU53BN ..
AA543, Hong Kong, Victoria, 1 Cent 1900-H, Heaton, NGC MS64BN ..
AA544, Hong Kong, George V, 1 Cent 1931, NGC MS64BN ..
AA545, India, Bikanir, Gangha Singh (Maharaja) 1 Rupee VS1994 (1937) XF (Light Cleaning) ..
AA546, India, Bombay Presidency, 1/2 Anna 1834, XF-AU ..
AA547, India, Hyderabad, Rupee AH1343 (1924) Silver, Lustrous UNC, Few spots ..
AA551, Japan, Meiji, 50 Sen Year 41 (1908) Silver, NGC MS63 ..
AA565, Straits Settlements, Victoria, 1/4 Cent 1845, NGC XF45 ..
AA566, Straits Settlements, Victoria, 1/4 Cent 1862, NGC MS64BN, Pop 2/1, Rare Grade! AA566, Straits Settlements, Victoria, 1/4 Cent 1862, NGC MS64BN, Pop 2/1, Rare Grade! ..
AA567, Straits Settlements, Victoria, 1/4 Cent 1873, NGC AU58BN, Pop 3/2, Rare! AA567, Straits Settlements, Victoria, 1/4 Cent 1873, NGC AU58BN, Pop 3/2, Rare Grade and date! ..
AA568, Straits Settlements, Victoria, 1/2 Cent 1845 no WW, NGC MS63BN, Pop 7/2, Rare! AA568, Straits Settlements, Victoria, 1/2 Cent 1845 no WW, NGC MS63BN, Pop 7/2, Rare! 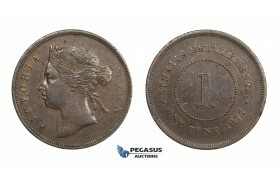 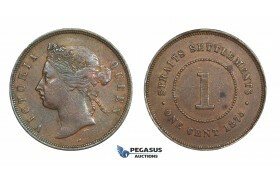 ..
AA569, Straits Settlements, Victoria, 1 Cent 1845, NGC AU58BN ..
AA570, Straits Settlements, Victoria, 1 Cent 1862, NGC MS63BN ..
AA571, Straits Settlements, Victoria, 1 Cent 1873, NGC AU55BN ..
AA572, Straits Settlements, Victoria, 1 Cent 1897, NGC MS62BN ..
AA573, Straits Settlements, Victoria, 1 Cent 1900, NGC MS61BN ..
AA574, Straits Settlements, Victoria, 1 Cent 1901, NGC MS63BN ..
AA575, Straits Settlements, Edward VII, 1 Cent 1903, NGC MS65BN, Pop 3/0, Rare grade! AA575, Straits Settlements, Edward VII, 1 Cent 1903, NGC MS65BN, Pop 3/0, Rare grade! 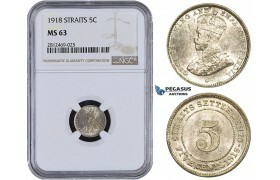 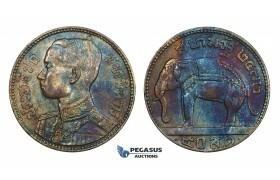 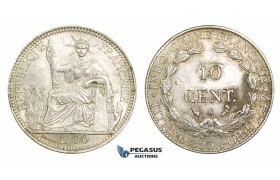 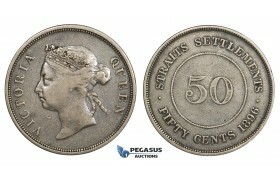 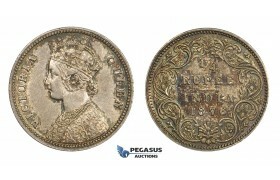 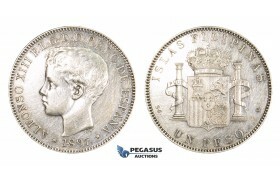 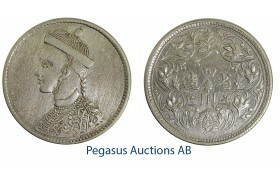 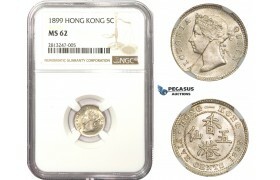 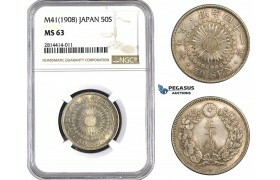 ..
AA576, Straits Settlements, George V, 5 Cent 1926, Silver, NGC AU55 ..
AA577, Straits Settlements, Victoria, 10 Cent 1894, Silver, NGC XF45 ..
AA578, Straits Settlements, George V, 10 Cent 1927, Silver, NGC MS63 ..
AA579, Straits Settlements, Victoria, 20 Cent 1900-H, Heaton, Silver, NGC MS61, Pop 2/0, Rare Grade! AA579, Straits Settlements, Victoria, 20 Cent 1900-H, Heaton, Silver, NGC MS61, Pop 2/0, Rare Grade!.. 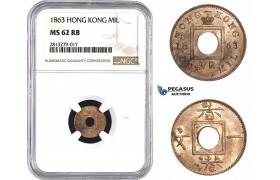 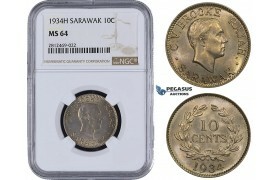 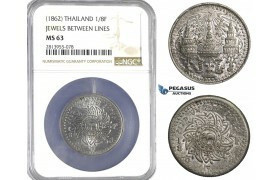 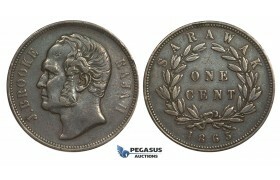 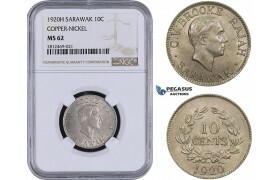 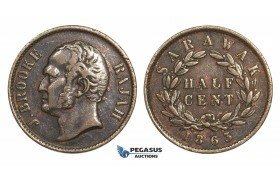 AA634, Sarawak, J. Brooke Rajah, 1/2 Cent 1863, VF ..
AA635, Sarawak, J. Brooke Rajah, 1 Cent 1863, VF ..
AA636, Straits Settlements, Victoria, 10 Cents 1882-H, Heaton, NGC UNC Details ..
AA637, Straits Settlements, Edward VII, 20 Cents 1902, Silver, NGC UNC Details ..